We are your online resource for a wide-range of products and services offered by Farm Journal Media and its partners. You'll find subscriptions, events, educational materials, and much much more, Shop Farm Journal makes it easy to find what you're looking for! We have customer service representatives to help with questions by phone or email. Our offices are open 8:30 AM to 6:30 PM Central Standard Time (Iowa) at 888-833-8187, or support@farmjournal.com. 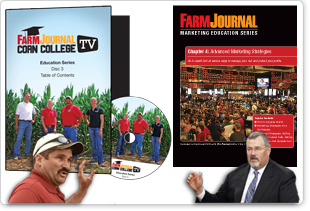 We are keenly interested in how we could make Shop Farm Journal better for YOU. If you're not finding what you need, or have suggestions for products that we should also carry, please let us know! Simply email to support@farmjournal.com. Thank You!